In 2015, Tommy Caldwell and his climbing partner Kevin Jorgeson made history when they completed the first continuous free climb of the Dawn Wall face of El Capitan in Yosemite. Outside Magazine dubbed the granite face "arguably the most difficult ascent in the history of rock climbing," and one reporter likened the feat to climbing plate glass. In his new memoir, "The Push," Caldwell talks about growing up small and uncoordinated, how his dad helped shape him into an extreme athlete, and how he was once kidnapped by armed rebels. 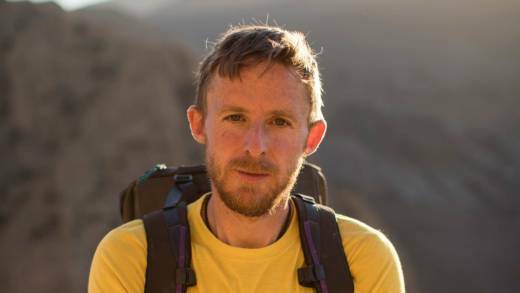 Tommy Caldwell, rock climber; author, "The Push: A Climber's Journey of Endurance, Risk, and Going Beyond Limits"